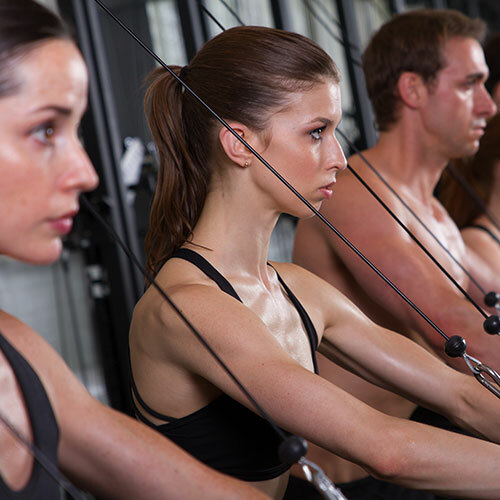 Full-body, high-intensity interval training, refined just for you. 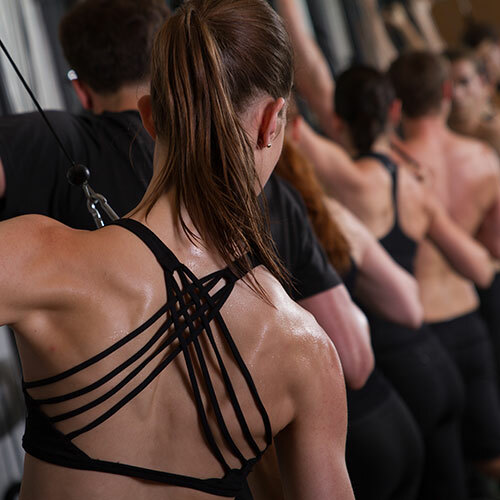 From absolute beginners to advanced athletes, our proprietary assessment process tailors each workout to fit your unique body, personal preferences and goals. Want to maximize calorie burn, accelerate fat loss, build functional strength, improve lean muscle tone, reduce lower back and knee pain or get pack into shape post-pregnancy? We will refine your program to you. Hard-core results, without the bootcamp vibe. 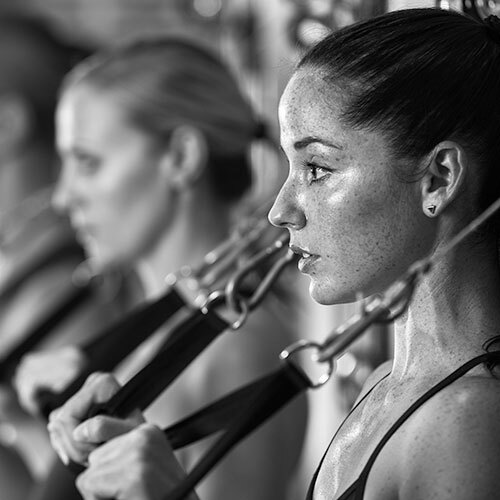 Combine workouts curated with help from the country’s top exercise scientists with world-class instructors and the best playlists for a workout that will leave you strong, energized and inspired. A suite of exercise equipment, including our custom, MIT-designed Pulley System allows for limitless exercise variety, careful exercise modification for injury and the end to workout plateaus. 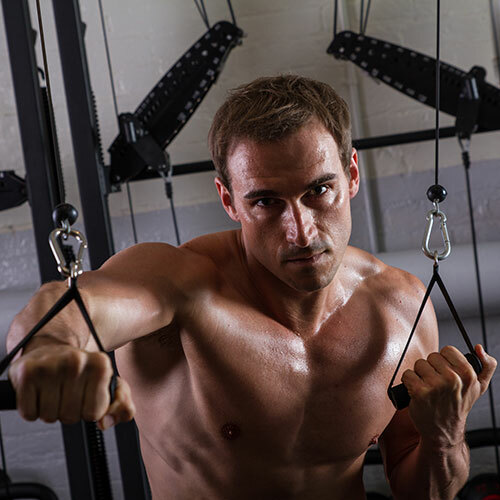 Get ready for Kettlebells, Suspension Straps, Plyometric Boxes, Slideboards, Medicine Balls, Battle Ropes and much more! I got my first job as a professional dancer with the New York City Ballet at age 16. In 2009 I retired and realized I needed to find my first gym. Barre, Pilates and Yoga promised a "dancer's body and seemed less intimidating than the world of treadmills and dumbbells, so I started there. 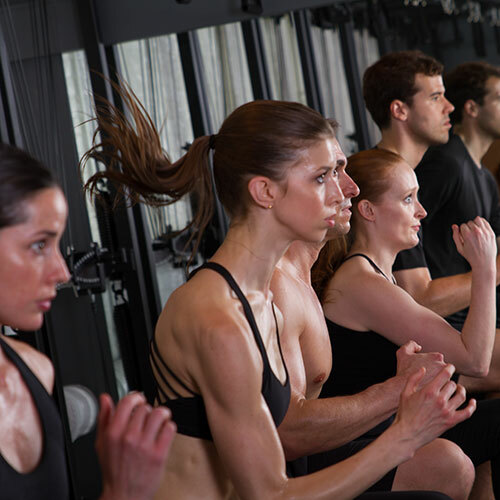 Taking class soon turned to teaching at some of New York's top boutique fitness studios. I watched my students logging many hard workout hours yet making little progress, and I started to wonder how much of what I knew about fitness was fact and how much was misinformation. Do you need cardio like running and swimming to lose weight? Will weights make you "bulky"? Will stretching make you more flexible? Many of the top minds in the field worked with professional athletes, so I travelled the country to learn from the top athletic trainers, coaches and scientists. My journey required me to let go of a lot of things I thought I knew about how to work out, which was uncomfortable. I performed squats and deadlifts instead of pliés and leg lifts. I lifted weights much heavier than I was used to. I struggled at times to figure out "if I was doing it right" and I often felt awkward and embarrassed as I tried to keep up with the experienced athletes around me. But I also felt challenged, both mentally and physically, and my body finally felt "dancer-fit" again, with a fraction of the time spent working out. Refine is the product of my personal journey. 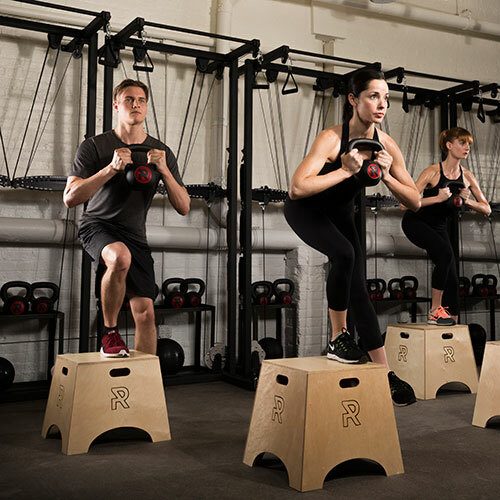 Refine is the toughest, smartest workout you'll find, but I didn't start Refine just to help people burn calories, lose weight, and build muscle. I founded Refine to help people build confidence, to stand up taller because they were proud of how their body felt and what it could do. My goal for Refine is that you have faith in yourself, and also in your workout. I want you to know that the hard work you put in at Refine is the best thing you can do for your body because we've done the research it takes to make it that way. Welcome to a community that I hope will inspire you to #bebetter, inside and out. Ready to start training smarter? Buy your first class special.